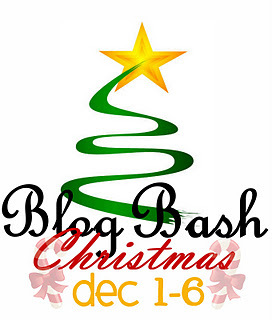 Blog Bash Christmas is here! There are over 60 blogs participating each with a prize pack valued at $100 or more! Mommy Digger is sponsored by DAWGS Footwear! I recently received a pair of DAWGS Spirit and they are seriously one of the most comfortable shoes I’ve ever had. Baby Digger has a pair of Fleece DAWGS and they are so soft and cute! Check out my full review! DAWGS also has many other styles of shoes, boots, and comfortable Bendable ballet flats available,oh and don’t forget the cozy DAWGS slippers! Here is what you will win! DAWGS is giving away a pair of Women’s Spirit shoes in your choice of color and size AND a pair of Fleece DAWGS for Kids in your choice of size/color! To enter fill out the Rafflecopter form below. Ends 12/6 at 11:59 PM EST. Be sure to visit all the blogs participating in Blog Bash Christmas for more great giveaway prizes all valued at $100 or more! I would love a size 8 white / hot pink for me and a pair of 5/6 pink for my baby girl :0) They look very comfy ! I would need Womens size 9 Black and Lime Dawg Spirits and I am not sure about the child size Dawgs, I would gift them to my friend for her son and would ask her what size he needs if I win. I would get the Spirit in White and Hot Pink Size 2 and the Fleece in Soft Pink Size 2.
white/lime 9 in spirit; pink 12 in fleece! Women’s Dawgs Spirit Black w Black 8 and Youth Ultrasoft Fleece Dawgs Soft Pink 2-3 ヅ *Thanks* for the giveaway!